After graduating in clarinet at the “Gaetano Donizetti Institute” and after a work experience in the “I Pomeriggi di Milano Orchestra” and several collaborations with some Italian wind orchestras (Mousikè Gazzaniga, Samassi and Rovereto) he began studying the alto saxophone with Daniele Cavallanti. Through his leadership he became the first saxophonist of the workshop “Creative Jazz Orchestra”, founded and directed by Cavallanti himself. He attended several workshop and meetings of jazz music, including the international ones of Sant’Anna Arresi (where he won a scholarship as best saxophonist and as best music project) and those of Siena Jazz – 40th edition (for which he won a scholarship as a saxophonist). He took part at several Italian Jazz Festivals as that of Sant’Anna Arresi, Ah-Um Jazz Festival, Jazz Novara, Trentino Jazz Festival, Clusone Jazz, Ambria, San Severo and Mantova Jazz. 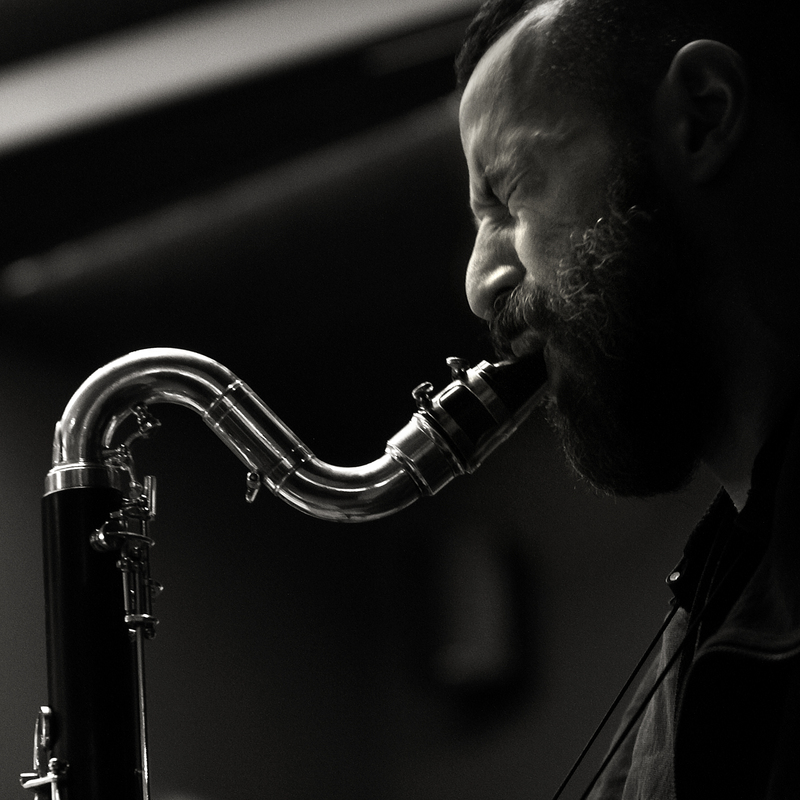 Born in Bari in 1978, he lives in Milan and he has several projects as leader: NoPair, NidoWorkshop, InSight, Extemporary Vision Ensemble, Marcos Quartet, Electric! Electric ! and others. He is a member of the “ATJO – Angiolo Tarot Jazz Orchestra” and he collaborates and plays with other musicians like Antonio Fusco (in the “Suite for Motian” project), Daniele Cavallanti (in the “Milano Contemporary Art Ensemble”, “Nexus” and “A World of Sound”), Beppe Caruso (“Ars Octet”) and other ones. He played with: Daniele Cavallanti, Tiziano Tononi, Silvia Bolognesi, Pasquale Mirra, Cristiano Calcagnile, Filippo Monico, Riccardo Luppi, Massimo Falascone, Paolo Botti, Emanuele Parrini, Tito Mangialajo Rantzer, Tim Berne, Beppe Caruso, Fabrizio Puglisi, Luca Calabrese, Alberto Tacchini, Toni Boselli, Gianluca Alberti, Marcello Noia, Alberto Turra, Rob Mazurek, Simone Massaron, Toni Cattano, Bernardo Guerra, Lorenzo Gasperoni and others.